So apparently my boyfriend loves caraway seeds. How did I not know this after 9 years together? So when I presented this dish for dinner he was a little bit in heaven. 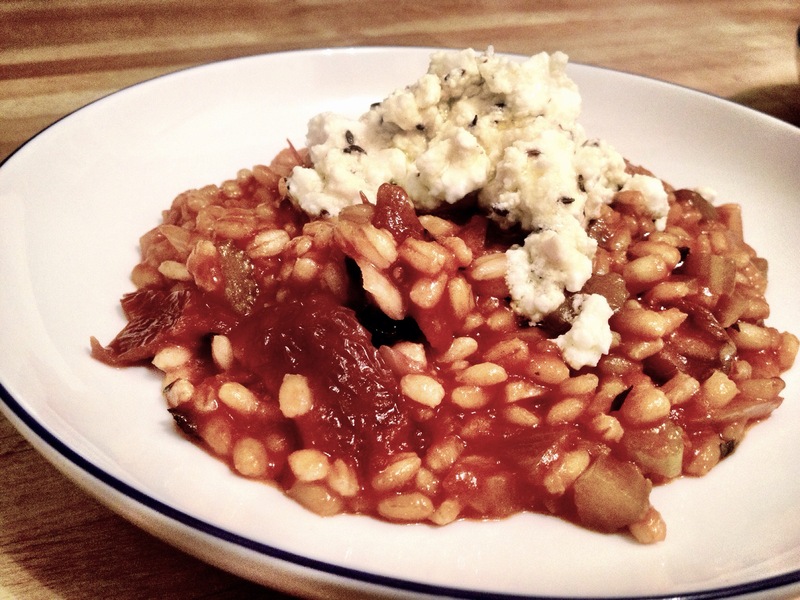 I followed a recipe from my beloved book Jerusalem, which features a barley risotto cooked in a luxuriously rich tomato sauce spiked with – unusually, I thought -smoked paprika, lemon rind, chilli, bay and thyme and a marinated feta topping. The feta is tossed with toasted caraway seeds, those distinctive love-em-or-hate-em little fellows. I made a few substitutions along the way, and added sundried tomatoes, because it just felt right and I had a rather sad looking jar tucked towards the rear of the fridge that was begging to be used. They added a new texture but the flavours married particularly well. Below is my tweaked recipe – for the original, consult your own copy of Jerusalem. And if you don’t have one, get one! (Best money you’ll ever spend). Thanks Grace! It was great actually, and as a bonus for me at the moment, pretty healthy. Not like regular risotto. You must get the book! It’s my food bible, the only cookbook I have ever cooked more than a couple of recipes from! 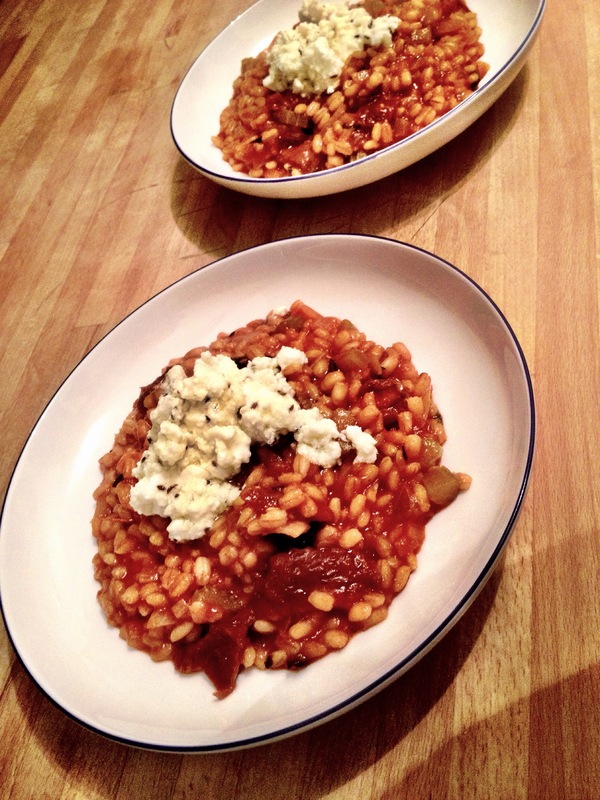 I have made and LOVED this dish, but my boyfriend doesn’t like feta too much, so it wasn’t a great success with him… oh well. And I agree, Jerusalem was the best money I ever spent, I have made so many recipes from it! Oh no ! Its a tough cheese to find a suitable replacement for I think. Other soft cheeses are often either too mild, too blue or too rich. 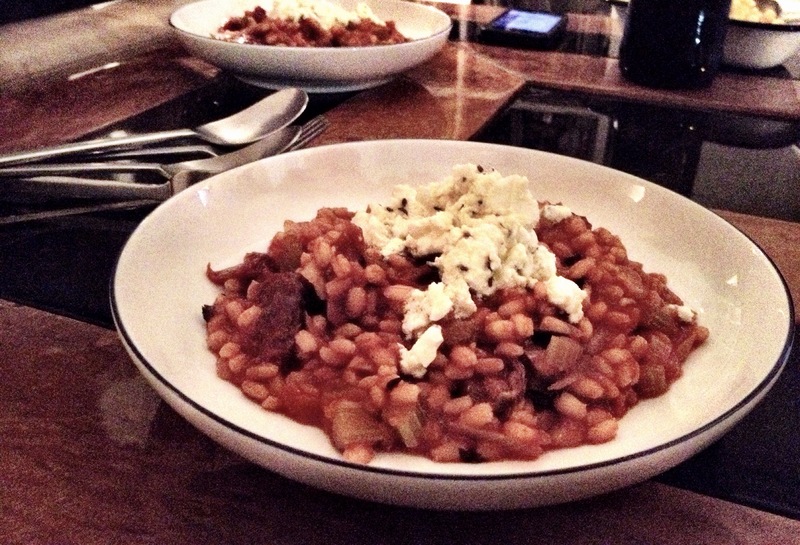 I never used to like feta until a few months ago, but can’t get enough of it now ! Ah thanks! It was a great, surprising combination actually. I also find it hard to know what to put it with. Which books do you have? I don’t have any others and also need to invest! Ottolenghi: the cookbook and Plenty! Both good, just need Jerusalem to complete the collection! Off to his new restaurant next month as well, officially cannot wait! Do you think chorizo would work well in this? The blokey likes me to meaty things up a little! The new ones Nopi in Soho. Cannot wait! I think I would get really star struck as well! Hmm maybe try it without chorizo first see how that goes down! This looks amazing. I am going to have to try it myself! Thanks!